Having Trouble Hearing Your Caller? These Headset Tips Can Help | Avcomm Solutions, Inc. 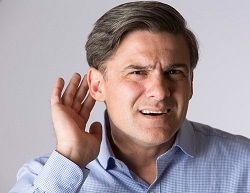 Hearing loss statistics are staggering: 30 million Americans age 12 and older has hearing loss in both ears. The Better Hearing Institute says that a large number of people wait up to 15 years from the time they know they have hearing loss until they purchase their first hearing aid, usually around the average age of 70 years old. It is easy to blame loud music, headphones and ear buds as the cause of hearing loss; in fact, it is more complicated than that. According to Healthy Hearing, illnesses, head trauma and tumors, prolonged exposure to excessively noisy environments, genetic factors, and some medicines, can all play a part. Aging is another factor that contributes to hearing loss. Currently, we are seeing an aging workforce: Workers are staying in the workforce past age 65. This is the highest it’s been in 55 years. And, by the year 2024, the Bureau of Labor Statistics estimates that 36 percent of 65-to-69-year-olds will be part of the labor force. Regularly, we are asked for headset recommendations for hearing aid wearers, and people who are having difficulty hearing calls. Through testing of our own, and daily use of the professional high quality headsets that we sell, we have some tips that will help you find the best set-up for clear calls. Tip #1: Headsets must be designed for phone calls, not music or gaming. Taking phone calls all day on a headset not designed for human voices can cause problems. And with all-day wear, hearing fatigue can occur over the course of long work days. Beware of consumer-grade headsets that are tuned for music, rather than speech. Proper acoustic tuning in high quality, professional headsets removes noise that is not audible to the human ear, and simultaneously boosts higher frequencies that make fricatives* easier to discern. Tip #2: We always recommend a dual ear headset. A mono headset covers one ear, leaving the other ear exposed to background noise. With a dual ear headset, both ears are covered, providing Passive Noise Canceling. The amount and degree of Passive Noise Canceling depends upon the shape and size of the ear cushions, and we recommend headsets with ear cushions that completely surround the ear. Tip #3: If you choose a corded headset, we recommend the purchase of an amplifier, too. Amplifiers are designed to enhance voice quality and call clarity for headset users, boosting the headset's performance. They make sound louder. This technology enables headsets to be used with corded phones and phone systems. In addition to amplifying sound, amplifiers usually include additional features to enhance communication, including mute and volume controls. Tip #4: Active Noise Canceling headsets may be an option. Active Noise Canceling technology uses one sound to reduce another sound, and is the latest office headset trend. We have compiled a comprehensive list of the ANC headsets from all of our brands: read the ANC Headsets blog post for more information. We look forward to working with you on finding the best headset for your hearing needs. Our headset experts can be reached at 1-866-998-9991, or by email. After all, Communication Is Our Business! *Fricatives are consonants that are formed by impeding the ﬂow of air somewhere in the vocal apparatus so that a friction-sound is produced. For instance, the "f" in fine or the "ch" in Bach.